Following this weekend's shutdown of MobileMe in favor of iCloud, Apple today sent out an email to users of its beta iWork.com service reminding them that it too will be discontinued on July 31. Remember, as of July 31, 2012, you will no longer be able to access your documents on the iWork.com site or view them on the web. iWork.com launched as a free beta in January 2009, with Apple intending to eventually offer the service with tools for collaboration on iWork documents for a fee. The service never exited beta, however, and with iCloud offering new options for moving documents around the company has decided to eliminate the program. While iCloud does not replicate all of the features of iWork.com, Apple continues to expand the functionality of iCloud, with the next round of improvements coming with OS X Mountain Lion later this month and iOS 6 this fall. I wouldn't trust Apple with any online service. Not even iCloud. How long until they shut that down? If I were you people, I would migrate to Microsoft office 360 online. It's not going anywhere. And it's a superior choice. Also sky drive and many other services that are just simply superior to anything that Apple offers. You mean like they shut down Windows Marketplace and Digital Locker? Anyone who had purchased Microsoft software through that online system, with the promise that you could download and install from within Windows any time in the future, had to make backup copies and save all the product keys because they shut it down. 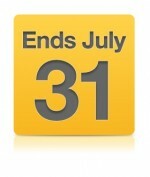 So it looks like a new version of iWork apps coming by July 31st. oh I hope this materialises. Well this is going to look pretty weird and silly come July 31st. Unless Numbers is updated. And in 29 days people will still be bitching about not having enough time to get their files. Given that the current suite is not really Retina compatible (it technically is, but it's effectively crippled by bugs when you try to run it in high resolution), I sure hope so. I don't understand why this is a big surprise for anyone. Apple said they were going to do this long ago. iCloud is (eventually) going to be a great solution, and I have been very happy with it so far for the most part. I have some concerns with iWork because it is is likely going to be using the iOS philosophy, which is that Apps own documents and store them all together. The only way to deal with a document is via its application. For many apps this makes perfect sense. But when I'm working on a project, I may have spreadsheets, pdfs, pages documents, etc. that I would like to keep together. Sometimes, I don't remember what kind of a document it is that I am looking for. If I have to open every app to find the document I'm looking for, I will not be happy. I want to give a plug for sugarsync. It is superior to everything in my opinion, because I don't have to use a special folder, I just tell it which folders to sync. And on the Skydrive thing, Sky drive and LiveMesh were consolidated. If you were a beta user (I was) they gifted you 25 GB. If you just sign up for a new account you only get 5 GB free. SugarSync - I used it for years until Google Drive came out. Then, I stupidly hopped ship for Google Drive. What a beta crappy product that was... the PC and MAC apps both using 5% cpu idle, and 100% cpu just to check if files changed. Took hours for a file that I changed on my laptop to show on my desktop... What's up with these companies putting out crap? Dropbox, SugarSync, JungleDisk (dinosaur age/abandoned), are all years ahead of iCloud and Google Drive. I prefer Dropbox for the simplicity and the "it just works" motto. I went from Google Drive to Dropbox recently and am pretty happy about it. Sugarsync is a win if you need super duper functionality and features - also pretty good pricing for storage (up to 500GB). Both Dropbox and SugarSync use Amazon servers so they're comparable. iCloud and Google Drive? WTF you two. Really disappointed because both companies have had a LOT of time to come out with these "clouds." The story was about "iWork discontinuation" -- of course!?! No. The story is about iWork.com beta not the software.